The Smithsonian National Zoo is inviting the public to help name it's two adorable 18-week-old male Andean bear cubs today. Voters are only allowed to choose from three different names reflecting "cultural significance" for each bear, so the little brothers won't end up with the names like "hot dog" or "Beyoncé ." The little ones may steal the spotlight from fan-favorite bears, the Giant Pandas, as the zoo promotes the sustainability of the species. “By inviting everyone to select the cubs’ names, we hope to instill a connection to this charismatic yet vulnerable species,” said Dennis Kelly, director of the National Zoo in a statement. Andean bears, which are native to the Andes region of Colombia, Ecuador, Peru, Bolivia, and northwest Argentina, are listed as "vulnerable" on the International Union for Conservation of Nature's (IUCN) Red List of Threatened Species. Andean bear populations are expected to decline by more than 30% over a 30-year window, according to IUCN. Habitat destruction and hunting are considered the greatest threat to South America's only bear species. These cubs are one of five surviving litters born in North American zoos in the past 10 years. “This is the first time we’ve had a pair of male cubs, and already we’re seeing them wrestle, pounce on and play with each other much more than our previous litters,” said Karen Abbott, animal keeper, in a statement. 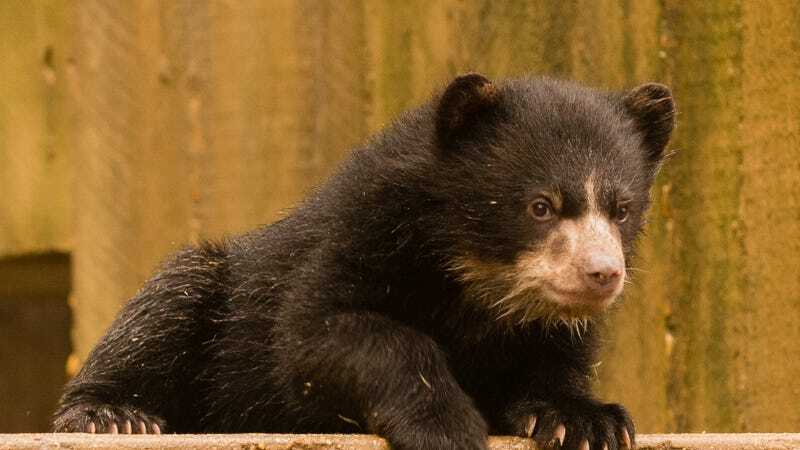 The zoo frequently asks the public to give input on animal names, including "Bernardo" and "Chaska," which were chosen for the first litter of Andean bears born at the National Zoo in 2010. The selection process will be held from March 16-22, with the winning names announced March 26 on Univision's ¡Despierta America! Fusion is a joint-venture of Univision and ABC news. After the naming announcement, the cubs will make their first public appearance (pending weather), Saturday, March 28, when they join mom, Billie Jean outside.